The Splinter Cell franchise has always had a very unique and engaging legacy of cooperative gameplay. 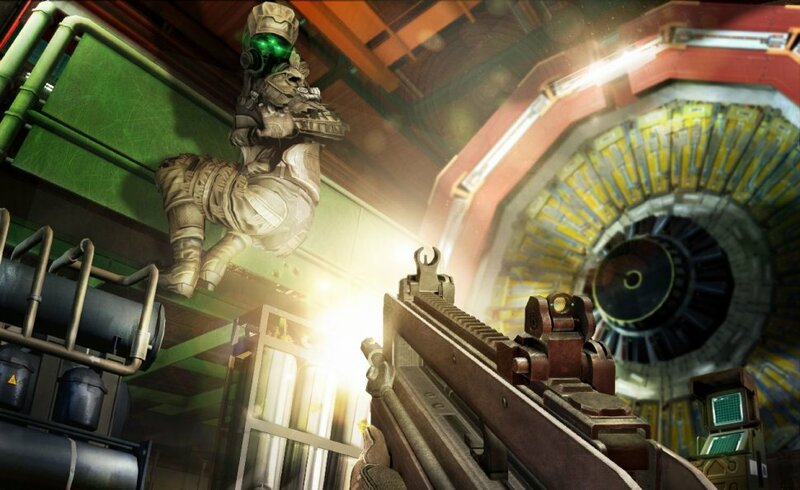 The different co-op modes have spanned from tandem stealth-play missions to special modes involving spies and hunters. 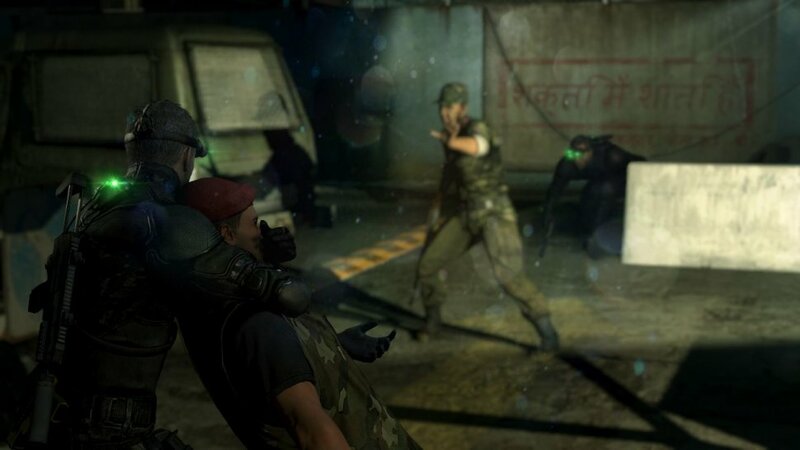 An inside look at the cooperative mechanics of Splinter Cell: Blacklist has surfaced on Joystiq. In it, they share some of their impressions on the ways that co-op works in the latest Splinter Cell game. 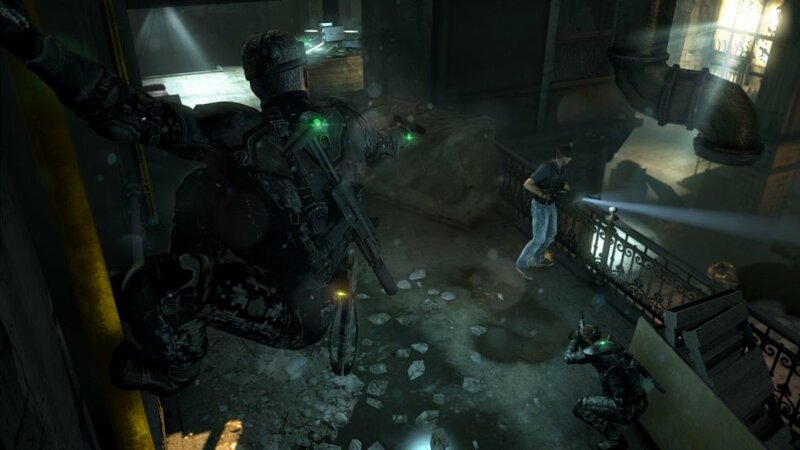 The cooperative missions in Blacklist consist of "narrative missions" that are handed down to Sam Fisher on the Paladin. The Paladin is a huge plane and mobile base of operations. Offering more than the garden stealth variety, co-op missions will vary between stealth and more action-oriented outings. It seems like more than anything, cooperation is the cornerstone of play. The team can't be carried by one really good player, rather both players have to work together. "It's all about the set-ups with co-op," Carillo said. "You can't take a single-player game and make it co-op, but you can take a co-op game and make it single-player, if you want, because really it's all about the complexity of the set-ups. In a lot of older Splinter Cell games, you might see enemies that always have their back to windows – obvious stuff. In Blacklist, we made sure that was no longer the case; we didn't want to make it feel like a video game. So especially in the co-op set-ups, you're going to see guys watching each others' backs, you're gonna see us use all of the enemy archetypes that are new to the series, you're going to see us use those together and you're going to see the enemies actually cooperate themselves and try to out-cooperate you and your partner." Carrillo illustrated some interesting implications of this creative enemy AI system. Dogs have the ability to rip you out of cover, and into the sight of a sniper. Heavy assault troops might rush you after their companions have thrown down smoke grenades. Basically, the idea is that the enemy will be relying on one another to take down the player in the same way that the two players must support one another to make it out alive. "The co-op narrative campaign, the Briggs missions, will be a lot more of that variety, so you'll feel all three different play styles through that. Sometimes, narratively, we'll reduce one or make you kind of focus on another, just to build that tension and keep those two players together and keep that variety going. But the three other characters that give you missions, they focus on one pillar to build unique gameplay – but we always make sure there's a minimum of two play styles available. We reduce one just to give you some variance and make sure you aren't just playing the same missions over and over again. You have to make sure that variety is there to keep players interested. That was definitely a big focus – player choice, allowing them to have tons of options." Splinter Cell: Blacklist will feature 14 unique playable missions on launch. It is being released for Xbox 360, PS3, and PC on August 20, 2013. It will feature two player cooperative play locally, online, and via LAN connection. Stay tuned for more information as it becomes available.